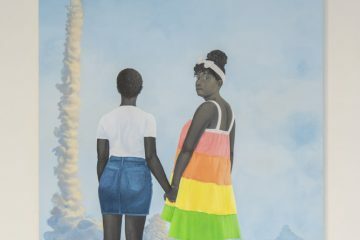 The biannual competition and exhibition presents the work of approximately 50 finalists, attempting to create a contemporary context for portraiture and a vast array of media including painting, drawing, and photography. 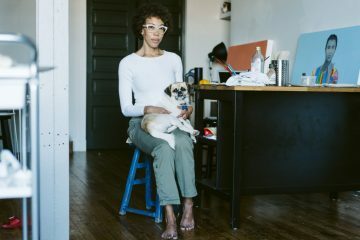 This year’s winner is Baltimore’s Amy Sherald, a resident artist at the Creative Alliance and a 2004 MICA MFA graduate. 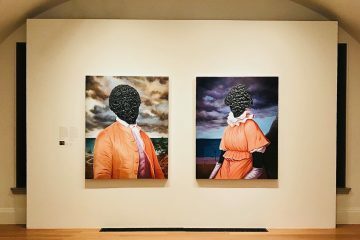 The award was announced at the opening on March 11 and includes a grand prize of $25,000 and a commission: to create a portrait for the Portrait Gallery’s permanent collection. Amy’s first prize submission painting titled, “Miss Everything (Unsuppressed Deliverance)” features Baltimore baker Krystal Mack of the Piecyele as her model. 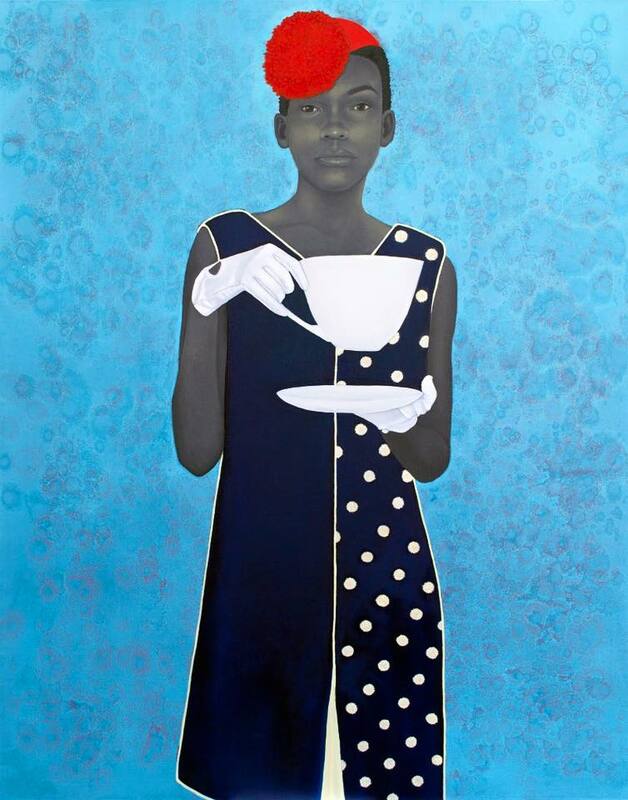 Amy Sherald was raised in Columbus, Georgia and currently lives and paints in Baltimore MD. She moved to Baltimore on a whim and ended up at the Hoffberger School of Painting, studying with Grace Hartigan and graduating in 2004. 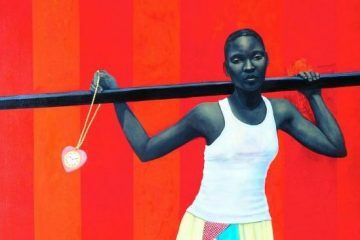 She has lived a bit of a charmed life, working as an apprentice to artist-scholar Dr. Arturo Lindsay during her undergraduate years at Clark-Atlanta University where she earned her BA in Painting. She followed up her MFA studies with a private study residency with painter Odd Nerdrum in Norway. Sherald’s figures are physically confrontational, but in a romantic and dreamlike way. There’s a sensitivity and vulnerability about each character that tells a story beyond what their costume or props might suggest. 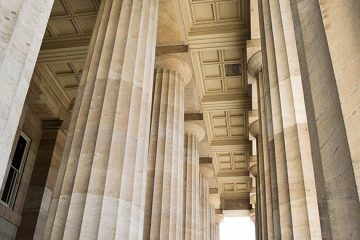 The idea that personal identity is both constructed and performed, especially in relation to political, social, economic, and cultural expectations isn’t new. However, in the context of Sherald’s work, each individual is a compelling mixture of performance and gesture, of ambiguity and authenticity. 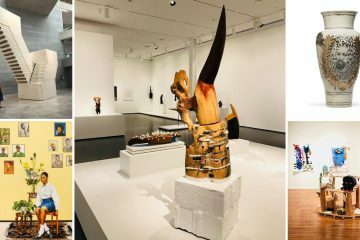 The competition is named for Virginia Outwin Boochever (1920–2005), a former Portrait Gallery volunteer whose generous gift has endowed this program. Dorothy Moss, associate curator of painting and sculpture, is the competition director and curator of the exhibition. BmoreArt is thrilled for Amy to have been awarded this honor (and the cash!$!$) and cannot wait to see the new portrait she creates for the national museum in DC. Congrats!!!! 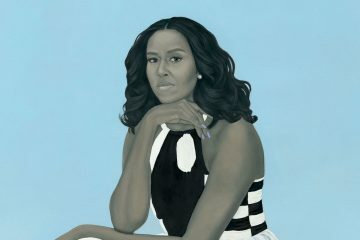 How do I go about obtaining a copy of this portrait “Miss Everything” for my home? I’m sure the original is out of the question, rightfully so. Is there a way I can purchase a screen print or a “duplicate” so that I may have this in my possession? I’m honestly not sure how this works or if this is even possible (or in poor taste to ask). Please forgive my ignorance of all things artistic. I just know that when I went to the Portrait Museum in DC the weekend before last, this piece spoke to me in a way I’ve never experience and I wanted it in my home so I can have that feeling whenever I walk into my living room.